Archana Sangha PA-C is a nationally board certified PA who is also licensed by the medical boards of Maryland and Virginia. She has spent the past eight years practicing general, surgical, and cosmetic dermatology. She has also completed further surgical training under Dr. Allan Harrington at our Skin Cancer Surgery Center. Archana received her undergraduate degree in Biology from Towson University, where she graduated with honors, then went on to earn her Master's degree in Physician Assistant Studies from Salus University, where she received specialized training in dermatology. 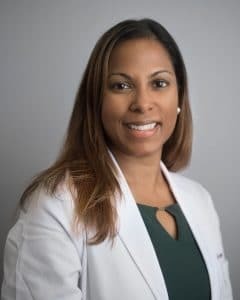 She furthered her dermatology training by earning the prestigious status of Diplomate by the Society of Dermatology Physician Assistants (SDPA), and she currently serves on the board of directors of the SDPA.